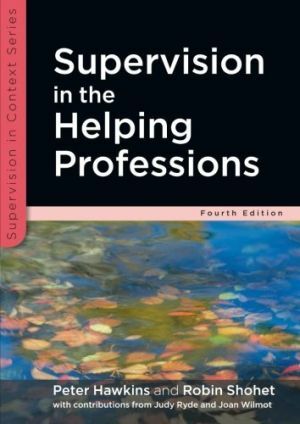 The core of the training is based on the Seven Eyed Model which is more fully described in Supervision in the Helping Professions (Hawkins and Shohet 2012, 4th edition), written by the Centre staff which has sold 100,000 copies and been translated into eight languages. In addition to our courses at Little Venice, London, we are now offering the training as a residential in Findhorn, a spiritual community in the north east of Scotland. The courses are experiential which helps to build up a sense of safety and community. The rich mixture of participants with different backgrounds, orientations and experience builds an environment that challenges limiting beliefs and creates a supportive and creative learning experience. Our teaching draws on learning from psychology, psychotherapy, group dynamics, inter-subjectivity, appreciative inquiry and systems thinking. The seven-eyed model described in Supervision in the Helping Professions is a way of looking and has been found to be equally effective for clinical supervision (both individual and group), managerial supervision, spiritual mentoring and organisational supervision. After completing the training, participants can attend regular supervision sessions and training days. As well as training for individuals, we offer bespoke courses for any organisation, team, charity or small business that wants to promote a culture of reflective practice.